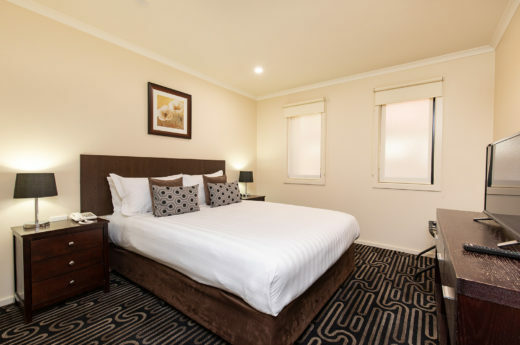 Book direct with Aquarius Apartments and Cabins Mildura | Indulge In Luxury and receive the best rate, guaranteed. 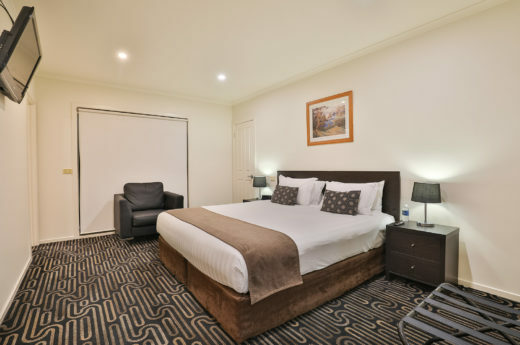 Sign up to Aquarius Apartments and Cabins Mildura | Indulge In Luxury News and be the first to know about news, specials and upcoming events. 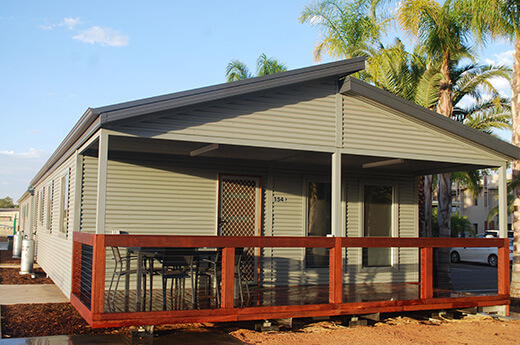 Aquarius Apartments & Cabins prides itself on offering our guests a luxurious and comfortable stay with all the features expected of 4.5 star accommodation. Our rooms are complemented by a shaded BBQ area overlooking the playground, a recreational room, mini gym and our large heated indoor pool – perfect for all year round! Our Ground Floor Apartments have an open plan living with a shower over a spa bath with kitchen and laundry facilities. Our Spa Apartments are spacious with a seperate bathroom, corner spa in the main bedroom and also feature a kitchen, laundry and balcony. These Apartments are a home away from home featuring open plan living, full kitchen and laundry. Town house style with all your living, dining and laundry on the ground floor, with two bedrooms and bathroom on the second level. Our two bedroom apartments are perfect for a family getaway. Open plan living featuring full kitchen, European laundry and a small courtyard. Town house style with all your living, dining and laundry on the ground floor, with the two bedrooms each with there own ensuite on the second level. 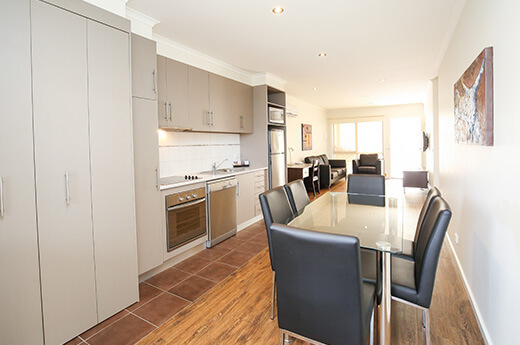 Freshly renovated featuring fully equipped kitchen, two bathrooms, laundry and private courtyard. Our Executive Cabins are situated at the rear of the property surrounded by lush green lawns and trees. Featuring kitchen facilities and a private bathroom. A perfect way to enjoy time with family and friends in this spacious open living Villa. Featuring two bathrooms, laundry and a private deck.